No matter how awesome you are, you need to constantly upgrade yourself to be ahead of the crowd and cut the clutter. It applies to brands as well. Latest Instagram stories feature reinforces the same. So even though it was doing perfectly fine without it, Instagram added the stories feature where the users can share the pictures and videos that stay on the timeline for 24 hours. It has been called a copycat for introducing the feature that Snapchat practically works on. Where’s the line between Instagram & Snapchat? Instagram has been successful in establishing itself as a museum – a place where everything is beautifully showcased. Here each and every post is uploaded with an intention of praise – more likes and comments. The variety of editing options and added filters made Instagram a perfect photo sharing app. Not to mention, Instagram leveraged on the basic human nature of getting appreciation and be more popular. Around 500 Million users share more than 80 Million pictures every day! Instagram is older by a year than Snapchat. On the other hand, Snapchat is more time-specific & fun app. Here, the focus is showing ‘behind the scenes’ of your life rather than the well-edited movie. It is fun-filled, it offers filters, those are all about fun rather than beauty –enhancement. It offers whacky filters, and keeps them changing according to what’s trending – E.g. Sia’s Cheap Thrills filter. Snapchat is growing faster than other social networks and the notion that it is only popular among teenagers is being proven wrong with the latest stats – It says that 50% of the new Snappers are over 25 years! 30 Million Snapchat users send around 400 Million snaps each day! So what’s really the difference between Snapchat & Instagram stories? First of all, no annoying dog-faces or unicorn filters on Instagram stories. Though you can add text or doodle. You can pause or go back to the Instagram stories. On Snapchat, you can’t scroll back to the story. You can save Snap stories in memories. Instagram stories can be saved on your camera roll and then upload on your Instagram or any other social network. 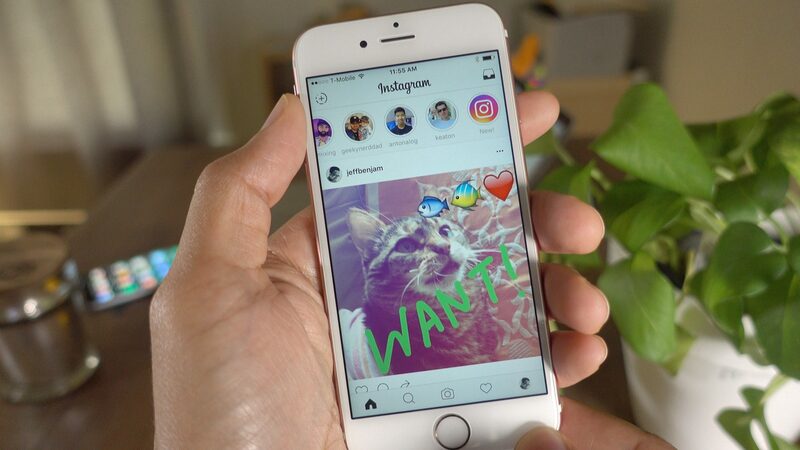 Have Instagram stories affected Snapchat? Instagram is owned by Facebook, and that proves as one of the biggest advantages of it. Whenever people add each other on Facebook, they also get notified on Instagram indicating that they should follow each other and thus expanding the circle on Instagram. Bigger user base means more views and more presence online. Thus, Instagram stories have this advantage over Snapchat in terms of number. In a survey, it was found that Snapchat is considered more as an instant messaging app rather than photo sharing app because of the privacy it offers. So when it comes to sharing the candid photos / videos, Snapchat proves better. Snapchat is also a content creating platform. Here you can directly create the video, add captions, control the pace, and shoot it. Unlike the other platforms that let you upload professionally made videos. Snapchat lets you peek into unedited lives of people in your circle. Instagram understood the importance of raw, lively sneak peeks along with the well-crafted pictures and added the Stories Feature. Instagram read their audiences’ minds and made changes accordingly. 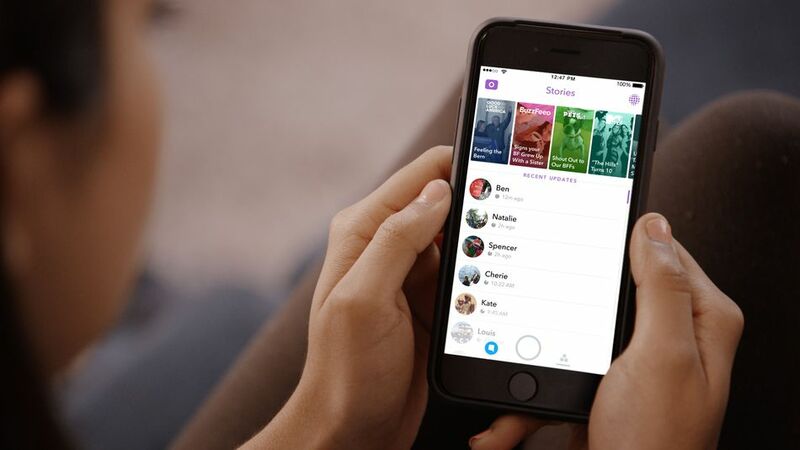 To sum it up, Snapchat has not been affected by Instagram stories as of now, however, if it does not innovate keeping their users in mind, it might slowly start losing its popularity.